Successor to and named in honour of the Lagonda Rapide, the Aston Martin Rapide is a four-door high-performance sports saloon shaped more like a coupe. At just over five metres long and nearly two metres wide it’s a big car with a lot of paintwork on show. That said, as it’s able to achieve 0-62mph in a little over five seconds you may have trouble catching sight of more than a blur, unless of course you find one lurking in a car park! In his quest to find the right Aston Martin for his requirements, the owner finally settled on this Rapide after road testing several different models at his local dealership. For him, the Rapide stood out by feeling firmly planted to the road whilst still providing the exhilarating drive expected from an Aston Martin. All this and room in the back for the kids! With only four thousand miles on the clock and ‘one careful owner’, the customer completed the purchase and once home sat back to admire his new pride and joy. 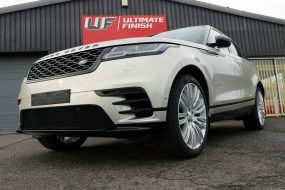 However, upon closer inspection he was not completely happy with the finish on the Onyx Black metallic paintwork and decided to book the car in to UF’s Brand Hatch based Detailing Studio for an appraisal. 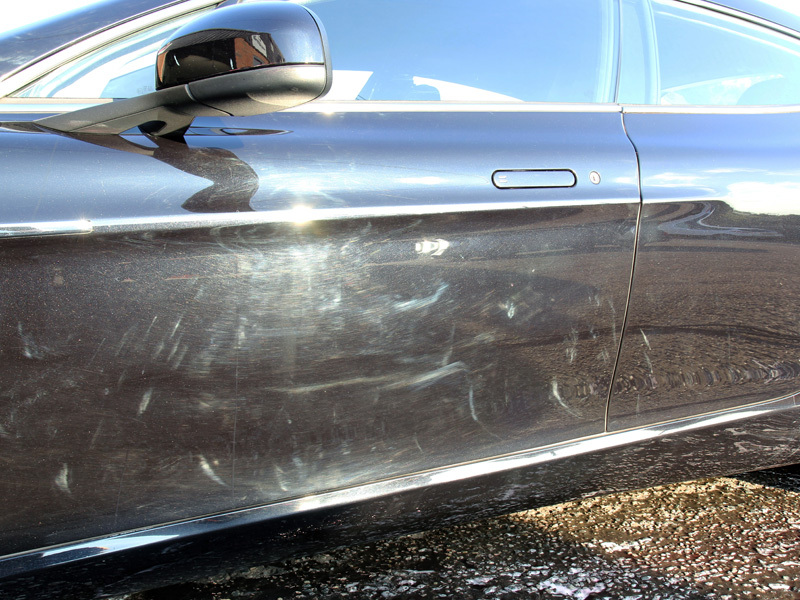 Before any paintwork correction can take place a car must be thoroughly decontaminated and cleaned. 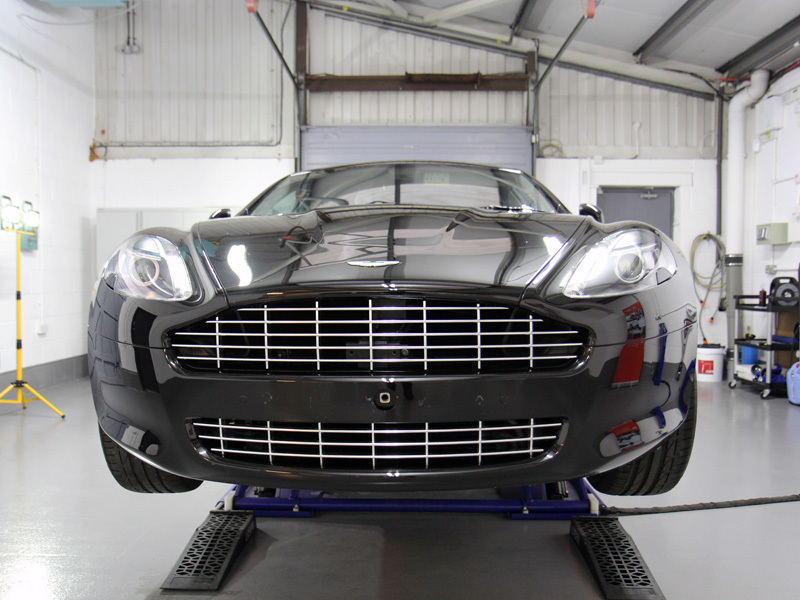 Initially, the Rapide was treated with Gtechniq W6 Iron & General Fallout Remover. This dissolves the bond formed by hot, ferrous contamination (usually derived from brake pads). Typically the highest proliferation of contamination is found on wheels, around wheel arches and on the bottom edge of the sills. W6 has a colour change function: once applied the colour changes to a deepening purple, indicating the presence of iron particles. When the colour no longer deepens, all the contamination has been targeted and is ready to be safely rinsed away. 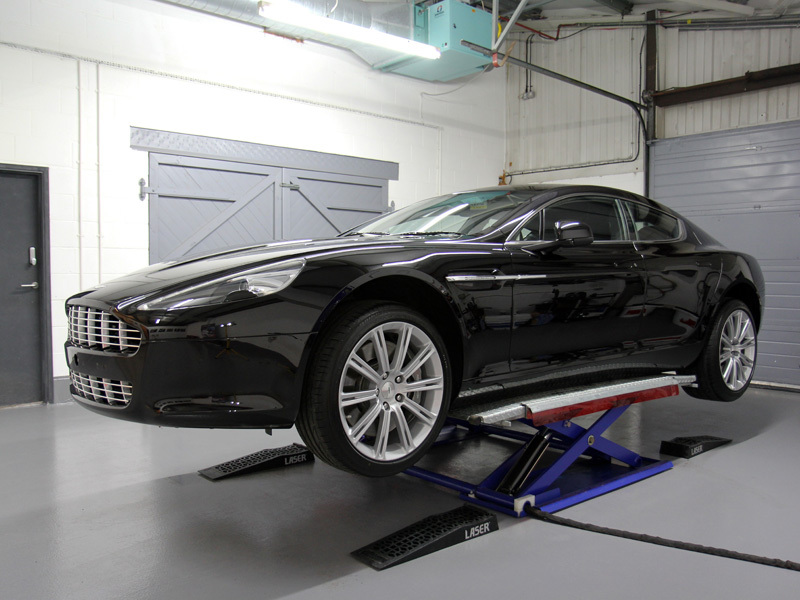 Next, the Rapide was treated with Gtechniq W7 Tar & Glue Remover to eliminate sticky residues such as tree sap and tar. Then it was degreased using Gtechniq W5 All Purpose Citrus Cleaner, with particular attention paid to potential problem areas such as boot, bonnet and door shuts as well as the petrol filler flap. Finally, the Rapide was pre-cleaned with Ultimate Snow Foam applied through a Kranzle adapted Foam Lance and a Kranzle K 1152 pressure washer. 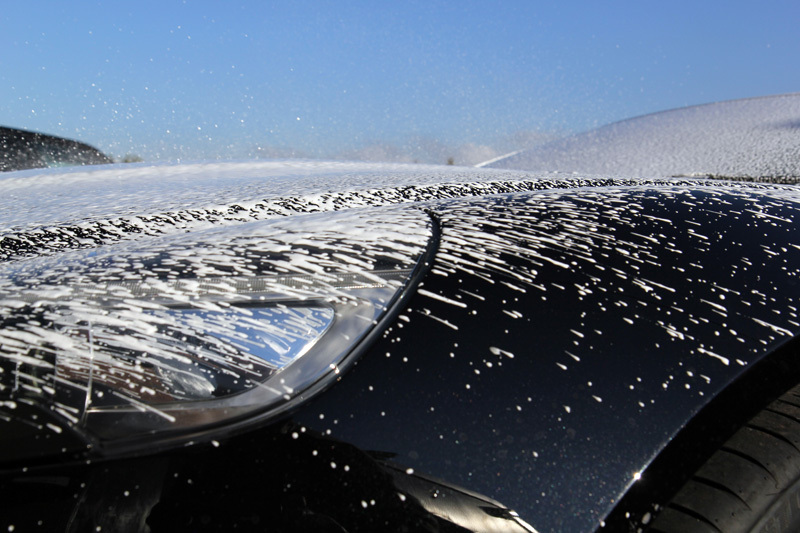 Together, the foam lance, pressure washer and snow foam creates a thick foam which clings to the surface of the car, lifting larger particles of dirt and grit away from the clear coat. The dirt can then be rinsed away, minimising the risk of incurring further damage to the paint during the wash process. Thoroughly decontaminated and pre-cleaned the Rapide was carefully washed using the Two Bucket Method, an Ulti-Mitt Double Sided Merino Wash Mitt and Gtechniq G-Wash shampoo. After rinsing the suds clear an Aqua Gleam De-ionising Water Filter was attached to the hose to give the Rapide a final, pure water rinse. 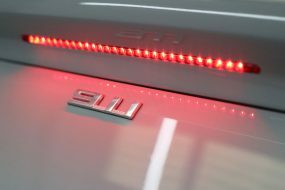 The car was then dried using soft microfibre towels and brought into the detailing studio. 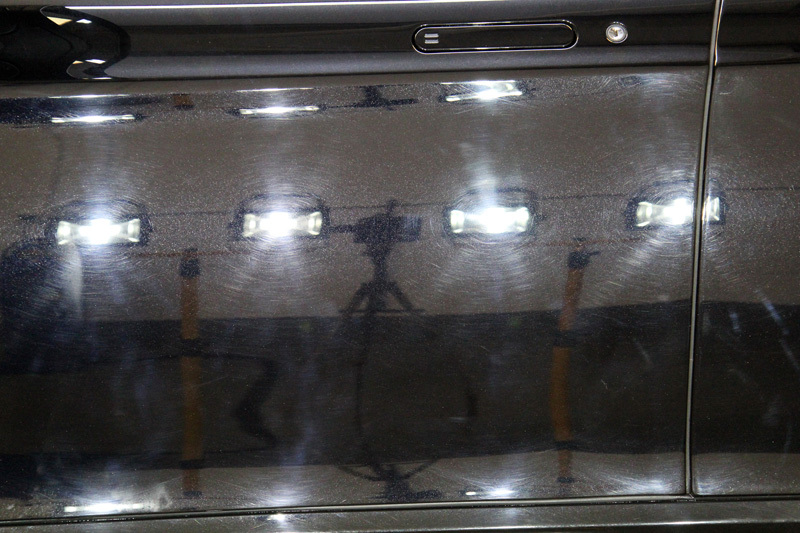 Here the paintwork was inspected under high-intensity lighting to gauge the extent of the damage. Multiple paint depth readings were taken over each panel to determine the thickness of the coatings – a must when machine polishing is required! 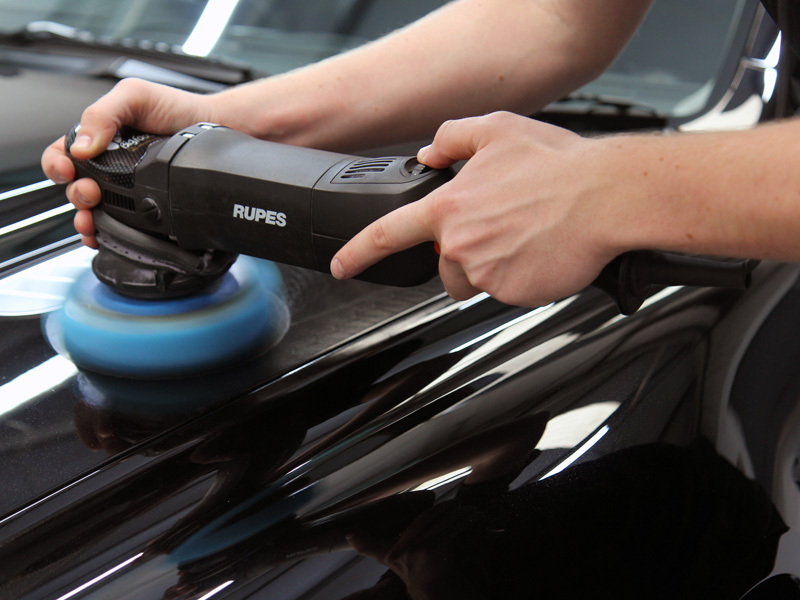 S17 was used on a Meguiar’s DA Microfibre Cutting Disc applied using a RUPES LHR15ES Random Orbital Polisher. The Microfibre Cutting Discs distribute the compound evenly and the pad flexes easily over the contours of the vehicle to give a more even result. 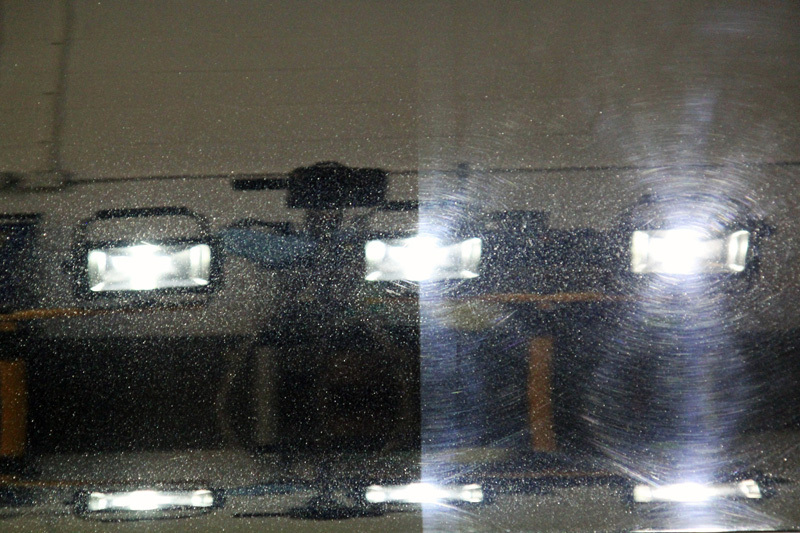 The microfibre interface removes paintwork blemishes without incurring holograms or micro-marring. S17 is a solvent-free formulation so imperfections are removed rather than filled and it is also very effective on harder paint finishes. With the correction stage completed, the paintwork required refining. 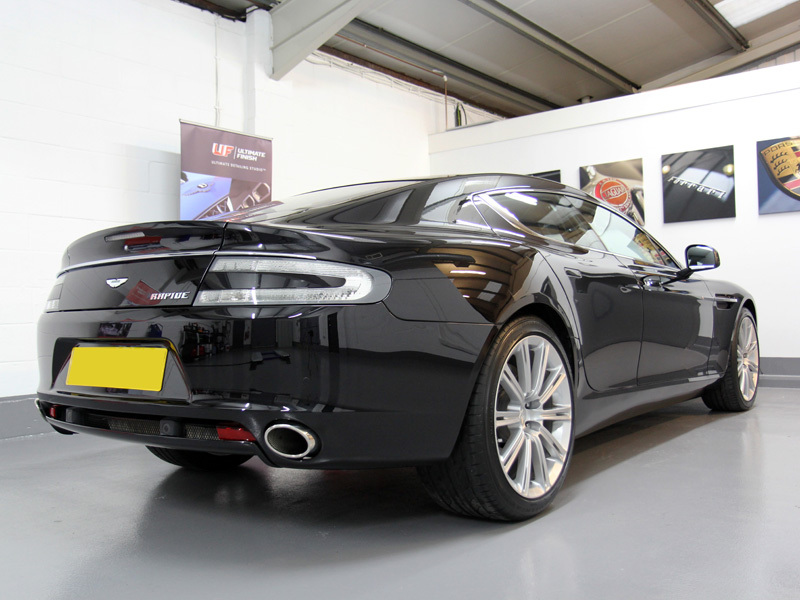 As the Rapide was going to be used on a regular basis and in all types of weather, a ceramic sealant was selected to protect the paintwork and wheels. To prepare the substrates for sealing they were first cleansed with Gtechniq Panel Wipe, a blend of alcohols and aromatic solvents which dissolve polish residues and flashes off, leaving the surface bare. Therefore, once the sealant is applied it can form the maximum number of bonds with the surface to ensure longevity, durability and performance. On this occasion, Gtechniq Crystal Serum was used. This sealant uses a dual layer to ensure a tough, shiny finish with a high tolerance to extremes of pH. The lower layer cures to a hardness of around 7H (on the pencil scale of hardness). The upper layer cures to around 9H. The softer lower layer provides flexibility and the upper layer provides resistance to pressure. 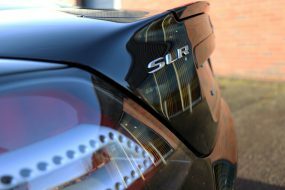 The combination of the two layers means treated surfaces are more resilient to swirls; the most common cause of paintwork looking tired and dull. 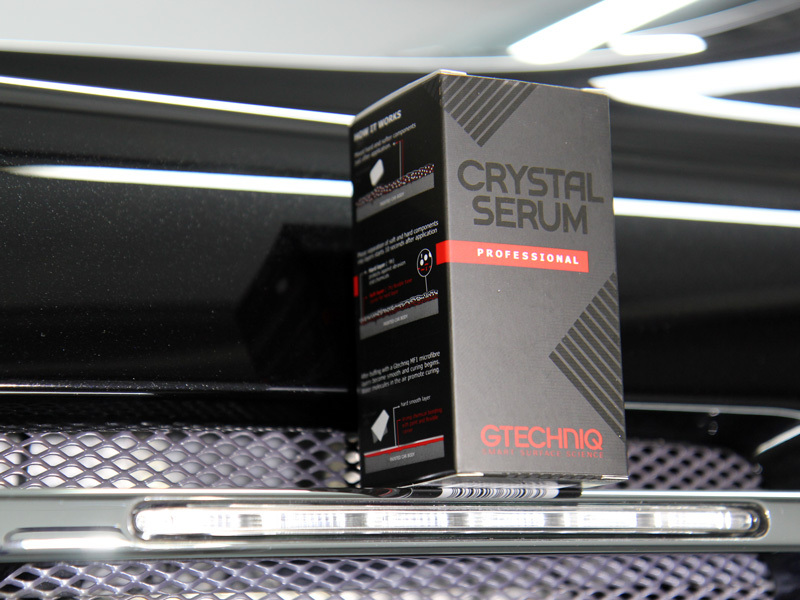 Due to the toughness of the cured finish and the requirement for it to be applied in tightly controlled conditions, Gtechniq has stipulated Crystal Serum be supplied only to Gtechniq-approved detailing studios for professional application. And they guarantee the performance for seven years! The wheels were cleansed with Panel Wipe and then sealed with Gtechniq C5 Alloy wheel Armour. 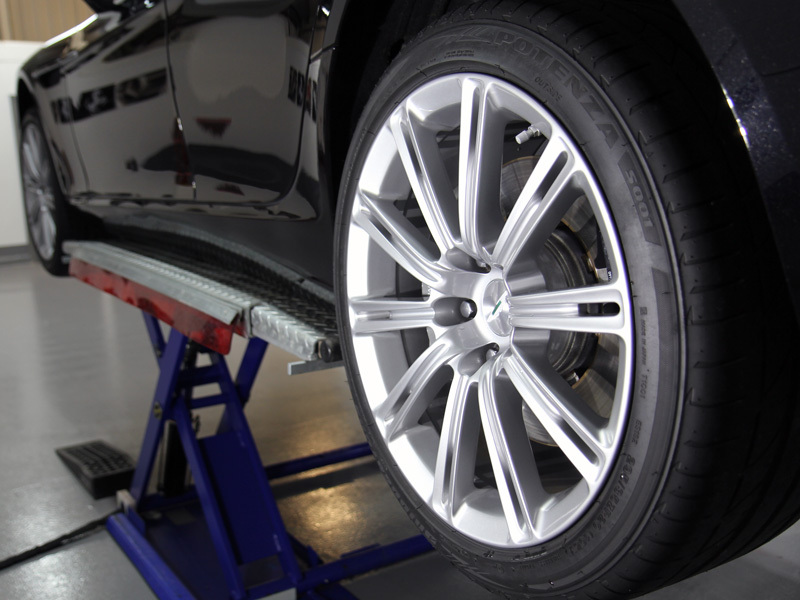 This wheel sealant provides a hydrophobic, oleophobic (oil-repelling) heat resistant barrier. 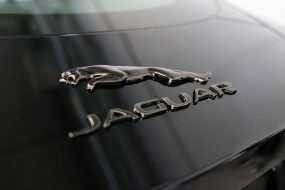 Dirt and brake dust particles do not adhere as firmly to the treated surface, making the weekly maintenance wash easier. 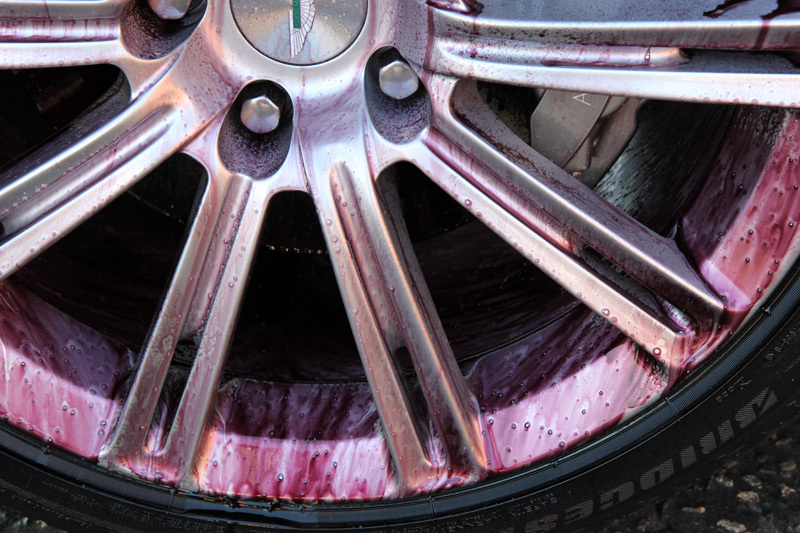 C5 also negates the requirement for the use of highly alkaline or highly acidic wheel washes that can etch lacquer and cause it to blister and peel if used frequently or left in situ for too long. The windows were treated with G1 ClearVision Smart Glass to provide a hydrophobic barrier that causes rain water to roll into beads and blow away, even whilst driving at relatively low speeds. This makes driving in poor weather conditions less tiring for the driver. 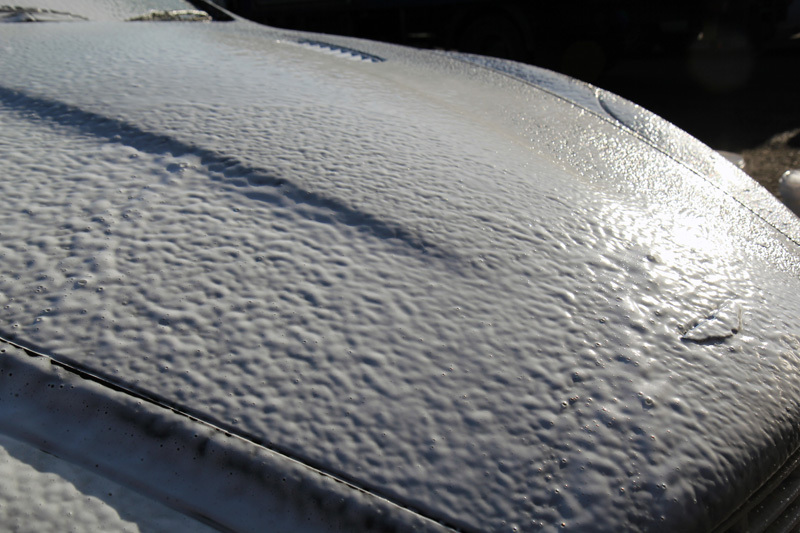 In addition, fallout, snow and ice will not bond to the surface, making it easier for the wipers to remove them without leaving micro-scratches in the glass and reducing wear and tear on the rubber blades. 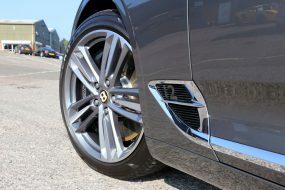 No detail is complete without a tyre dressing, so to complete the overall appearance the tyres were treated with Gtechniq T2 Tyre Dressing, a long-lasting dressing which leaves a natural satin sheen on the rubber. The final result was nothing short of stunning and, it could be argued, is how the car should have looked when presented for sale by the supplying dealership! Safe to say the customer roared away from the studio with a big smile on his face!